EAZY ERP, the leading provider of ERP software for B2B companies announced 25 percent growth this fiscal year. Delivering a wide spectrum of enterprise solutions across multiple verticals of business for over 10 years Eazy ERP has over 150 clients including: MDH, Pigeon, Kamdhenu Group, Hindustan Pumps, Ujala Pumps, SHELL, GoodYear, Interglobe Technologies. “Eazy ERP is flagship product of our company. The USP of EazyERP is it being India’s First Tally integrated ERP. With consistent growth throughout FY-16-17, EAZY ERP has paved the road for innovation in 2017. In recent times, SMEs in India have grown, expanding their businesses across related as well as unrelated fields. To support these activities, there has been a surge in demand for a centralized system to capture and monitor information and streamline the organizational processes. The need for an ERP system with specific features is the need of the hour. Eazy ERP is specifically designed keeping SMEs budget constraints in mind. 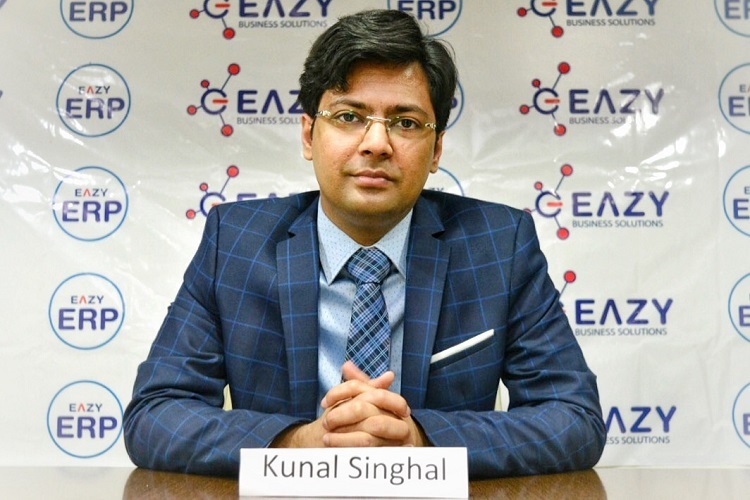 This solution aims at cutting down the overall cost of ERP involved in its deployment,” said CA Kunal Singhal, Managing Director Eazy Business Solutions. Launched in the market in the year 2008, Eazy ERP Solution is one of the most recognized in Customized ERP service. Eazy ERP helps the business to streamline its operations by facilitating centralization of the organization. Its system helps to automate the workflow of all departments of the organization, which eases the data flow with accuracy & speed while keeping intact all security checks. The USP of Eazy ERP is Tally Integration system that possess 100 percent data synchronization with Tally. Hence SMEs need not to switch over from Tally software. This USP of our system helps people work efficiently and easily.